Anyway, I’m reading Chapter II: Fathers and Sons, which describes the poet’s relationship with his father, John Butler Yeats, a barrister who stopped practicing law to become an artist. He made a living by painting portraits. 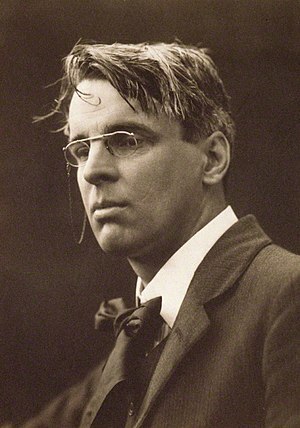 According to Richard Ellman, the author of Yeats, The Man and the Masks, his father John was opinionated, intellectually dominating, and financially irresponsible (no business sense!). Religion and science – both options, in and of themselves, fail to satisfy my hunger for meaning. The musty, medieval and backward tenets of religion violate my intellectual conscience, while science, though it induces deep respect and wonder, is all rationality, and humans aren’t rational beings. Poetry is indeed a form of knowledge, independent of both. This entry was posted in Yeats. Bookmark the permalink. ← A short poem by Shelley.